Private Miller Mack served in World War I from 1916-17 alongside fellow Australian troops among the 7th Reinforcements in France. Artwork via Lee Anthony Hampton from Koori Kicks Art. 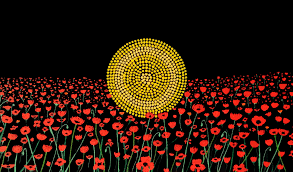 Only one Indigenous Australian is known to have received land in New South Wales under a “soldier settlement” scheme, despite the fact that much of the best farming land in Aboriginal reserves was confiscated for soldier settlement blocks. Others, such as William Cooper, the Secretary of the Australian Indigenous Australians’ League, argued that Indigenous Australians should not fight for white Australia. 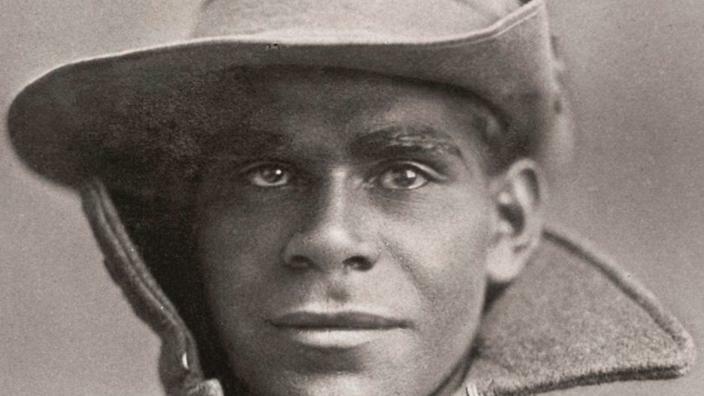 Cooper had lost his son in the First World War and was bitter that Aboriginal sacrifice had not brought any improvement in rights and conditions. He likened conditions in white-administered Aboriginal settlements to those suffered by Jews under Hitler. Cooper demanded improvements at home before taking up “the privilege of defending the land which was taken from him by the White race without compensation or even kindness”. 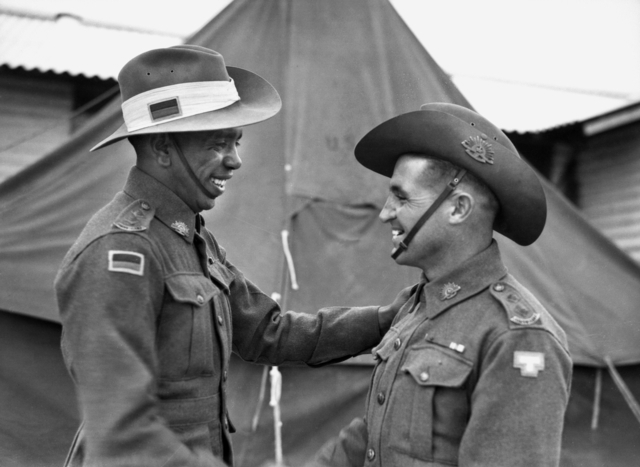 At the start of the Second World War Indigenous Australians and Torres Strait Islanders were allowed to enlist and many did so. But in 1940 the Defence Committee decided the enlistment of Indigenous Australians was “neither necessary not desirable”, partly because white Australians would object to serving with them. However, when Japan entered the war increased need for manpower forced the loosening of restrictions. 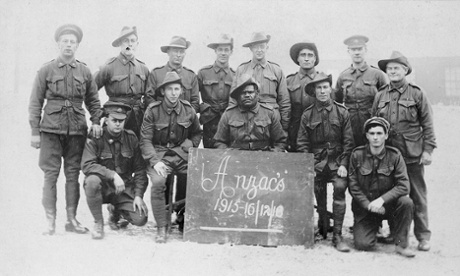 Torres Strait Islanders were recruited in large numbers and Indigenous Australians increasingly enlisted as soldiers and were recruited or conscripted into labour corps. With the Japanese advance in 1942, Indigenous Australians and Torres Strait Islanders in the north found themselves in the front line against the attackers. There were fears that Aboriginal contact with Japanese pearlers before the war might lead to their giving assistance to the enemy. Like the peoples of South-East Asia under colonial regimes, Indigenous Australians might easily have seen the Japanese as liberators from white rule. Many did express bitterness at their treatment, but, overwhelmingly, Indigenous Australians supported the country’s defence. Leonard Waters, a childhood admirer of Charles Kingsford-Smith and Amy Johnson, joined the RAAF in 1942. After lengthy and highly competitve training he was selected as a pilot and assigned to 78 Squadron, stationed in Dutch New Guinea and later in Borneo. The squadron flew Kittyhawk fighters like the one on display inthe Memorial’s Aircraft Hall. Waters named his Kittyhawk “Black Magic” and flew 95 operational sorties. After the war he hoped to find a career in civilian flying but bureaucratic delays and lack of financial backing forced him to go back to shearing. Like many others, he found civilian life did not allow him to use the skills that he had gained during the war. 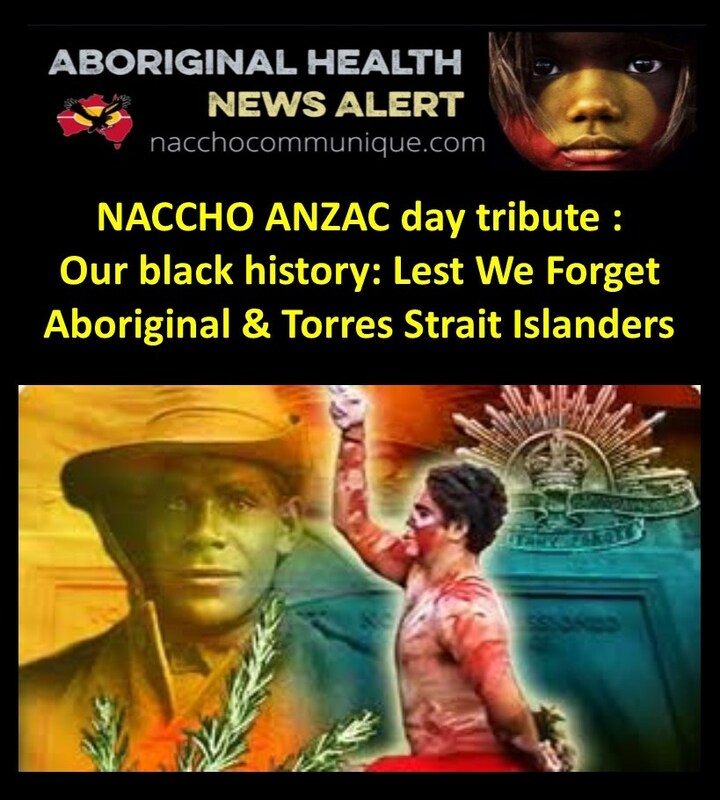 By 1944 almost every able-bodied male Torres Strait Islander had enlisted. However, they never received the same rates of pay or conditions as white soldiers. At first their pay was one-third that of regular soldiers. After a two-day “mutiny” in December 1943 this was raised to two-thirds. The members of the unit were to use their traditional bushcraft and fighting skills to patrol the coastal area, establish coastwatchers, and fight a guerilla war against any Japanese who landed. Living off the country and using traditional weapons, they were mobile and had no supply line to protect. Thomson shared the group’s hardships and used his knowledge of Aboriginal custom to help deal with traditional rivalries. The unit was eventually disbanded, once the fear of a Japanese landing had disappeared.